All of our dogs have their hips, elbows, heart, and eyes certified by the Orthopedic Foundation for Animals prior to being bred. 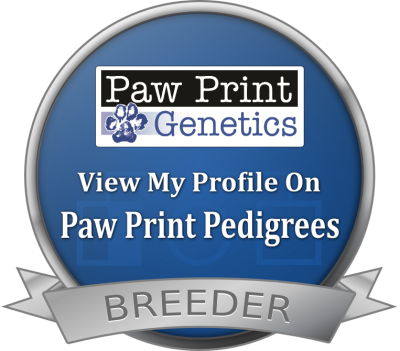 We also do genetic testing through Paw Print Genetics for Ichthyosis, PRA-1, PRA-2, PRA-prcd, and Degenerative Myelopathy in order to prevent us from producing affected offspring. and hopefully providing you with your new Golden friend! Our next litters are planned for early 2019. Contact us today to check availability!